I’m a 28 years old physics student at the University of Ilmenau, Germany and an international awarded night photographer. I found my passion for photography in 2015. Fortunately my family enabled me to visit countries like Venezuela, Sri Lanka, Cuba and Egypt since I was a child. My fever for traveling was born. Since around two years I have the dream to travel around the world with my camera and capture fantastic moments during the night in nature. Therefore I toured around South Africa, Italy and Spain. I love the beauty of nature and its phenomena. Who are some of your biggest influencers while starting? My biggest influencers were Michael Shainblum and Mark Gee. I saw their night artworks and I was really impressed by that. Than I was influenced by other photographers and artists in my hometown Ilmenau. What do you do when a camera is not in your hand? I love to explore my surroundings. Just enjoy the nature with a simple hike or with my bike. I like playing my piano. Especially piano/modern stuff like the music of Ludovico Einaudi or Martin Kohlstedt. During my other free time I enjoy writing different texts. What is your go to camera + lens combo? My compact Sony A7S in combination with my Sigma 24mm F/1.4 is my favorite camera/lens combo for the night. I love to shoot with the Sigma 50mm F/1.4 in typical everyday situations. I know you shoot a lot of pano astrophotography. Can you walk us through how you plan and prep for such a day? For good astrophotography you need a lot of planning. You have to consider the weather and the moon phases. A clear sky and new moon is perfectly fine. At the beginning of my tour I explore the region during the day light for an idea and for interesting spots in combination with the expectable standing of our galaxy. When I am satisfied I pack my backpack with my camera equipment (light sensitive camera + wide angle lenses) and other necessary stuff. Don’t forget a warm jacket, something to drink and eat, a head lamp and batteries. When the sun goes down I drive to the tagged spots and try to realize this project. Normally nothing works like you expect and so you need to improvise at this point. Exactly now the magic of night photography begins! I do this till the beginning sunrise. Than I drive back and go to sleep. How long does it take you to create these wonderful images? Hard question! Please included prep time and post editing. To reach the spot around 1-5 hours. For capturing one panorama up to 1 hour. The post editing including the stitch of the panorama and some adjustments in the white balance, in curves, sharpness and denoising takes approximately 1-2 hours. For really complex panoramas like the Cape Town panorama you need multiple days only for the stitching! Best advice for new and upcoming photographers? Create your own world with your photography and don’t run after styles of other photographers. Try to capture your fantasies with the camera. And of course the important thing: Don’t rush and enjoy the beauty of life. This is easy! My dream project is traveling to Chile. In the wide area of the Atacama desert you can observe one of the best night sky in our world. Whats next for you in photography? I want to explore Europe especially Austria and Switzerland during the night. 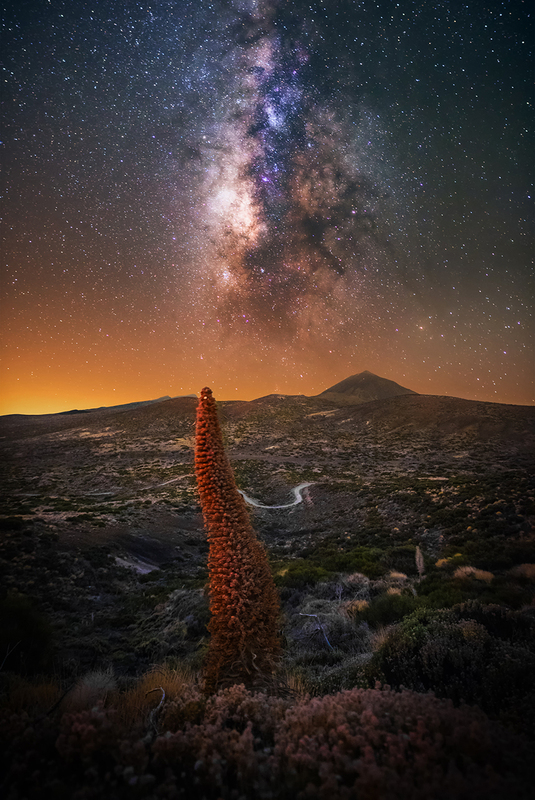 Additionally I want to teach other enthusiastic photographers the magic of astrophotography during workshops on the beautiful isle Tenerife which is one of the best spots in Europe therefore. Also I am really excited to write and publish some literature about this special kind of photography. Aug 18 Upgrade & get up to $500 in bonus credit!